Maha Shivaratri, which literally translates to “great night of Shiva” is a Hindu festival largely celebrated in India as well as in Nepal. The festival is celebrated on the new moon day in the month of Maagha according to the Hindu calendar. The day is celebrated to venerate Lord Shiva, an important deity in Hindu culture. According to the Puranas, during the great mythical churning of the ocean called Samudra Manthan, a pot of poison emerged from the ocean. The gods and the demons were terrified as it could destroy the entire world. When they ran to Shiva for help, he in order to protect the world drank the deadly poison but held it in his throat instead of swallowing it. This turned his throat blue, and since then he came to be known as ‘Nilkantha’, the blue-throated one. Shivaratri celebrates this event by which Shiva saved the world. Shivaratri is considered especially auspicious for women. Married women pray for the well being of their husbands and sons, while unmarried women pray for an ideal husband like Shiva, who is the spouse of Kali, Parvati and Durga. But generally it is believed that anyone who utters the name of Shiva during Shivaratri with pure devotion is freed from all sins. He or she reaches the abode of Shiva and is liberated from the cycle of birth and death. There are many mythological legends associated with this day. According to a popular legend, when a hunter could not find anything to kill for his food in a forest, he waited on the branch of a Woodapple tree. In order to attract deer, he started throwing the leaves of the tree on the ground, unaware that there was a Shiva Lingam beneath the tree. Pleased with the Woodapple leaves and the patience of the hunter, it is believed that Lord Shiva appeared in front of the hunter and blessed him with wisdom. From that day onwards, the hunter stopped eating meat. Another legend has it that after the Earth was faced with an imminent destruction, Goddess Parvati pledged with Lord Shiva to save the world. Pleased with her prayers, Lord Shiva agreed to save the world on the pretext that the people of the Earth would have to worship him with dedication and passion. From that day onwards, the night came to be known as Maha Shivaratri and people began worshipping Shiva with a great enthusiasm. Some folklore also consider this to be Shiva’s day as this was believed to be the answer given by Lord Shiva when asked about his favorite day by Goddess Parvati. Maha Shivaratri is a Hindu festival which is celebrated by people following Hinduism in India. People often fast on the night of Shivaratri and sing hymns and praises in the name of Lord Shiva. Hindu temples across the country are decorated with lights and colorful decorations and people can be seen offering night long prayers to Shiva Lingam. Woodapple leaves, cold water and milk are offered to the Shiva Lingam on this day as they are believed to be Lord Shiva’s favorite. It is believed that the people who fast on this night and offer prayers to Lord Shiva bring good luck into their life. The most popular Maha Shivaratri celebrations take place in Ujjain, believed to be the place of residence of Lord Shiva. Large processions are carried out throughout the city, with people thronging the streets to catch a glimpse of the revered idol of Lord Shiva. On the day of Shivaratri, a three-tiered platform is built around a fire. The topmost plank represents ‘swargaloka’ (heaven), the middle one ‘antarikshaloka’ (space) and the bottom one ‘bhuloka’ (earth). Eleven ‘kalash’ or urns, are kept on the ‘swargaloka’ plank symbolizing the 11 manifestations of the ‘Rudra’ or destructive Shiva. These are decorated with the leaves of ‘bilva’ or ‘bael’ (Aegle marmelos) and mango atop a coconut representing the head of Shiva. The uncut shank of the coconut symbolizes his tangled hair and the three spots on the fruit Shiva’s three eyes. Very early morning, Shiva temples are flocked by devotees, young and old, who come to perform the traditional Shivalinga worship (puja) and hence hope for favours from the God. Devotees bathe at sunrise, preferably in the Ganga, or any other holy water source (like the Shiva Sagartank at Khajurao). This is a rite of purification, which is an important part of all Hindu festivals. Wearing clean clothing after the holy bath, worshippers carry pots of water to the temple to bathe the Shivalinga. Women and men both offer prayers to the sun, Vishnu and Shiva. The temple reverberates with the sound of bells and shouts of “Shankerji ki Jai” meaning ‘Hail Shiva’. Devotees circulate the lingam three or seven times, and then pour water over it. Some also pour milk over it. All through the day the devotees keep severe fast, chant the sacred Panchakshara mantra “Om Namah Shivaya”, make offerings of flowers and incense to the Lord amidst ringing of temple bells. They maintain long vigils during the night, keeping awake to listen to stories, hymns and songs. The fast is broken only the next morning, after the nightlong worship. In Kashmir, the festival is held for 15 days. The 13th day is observed as a day of fast followed by a family feast. Very informative.Do keep up the good work. Thank you for full context of Mahashivratri and explanation in great lengths which gave me great knowledge of our ancient scripture of Purans. No one can defend shiva’s power once decide he will manifest in the world what ever he want . I’m happy to read this article and it is very informative. I convey my Happy MAHA SIVARATHRI wishes to all devotees and wish Lord Siva and family blessing in all the devotees. I also requested if you have Sivapuranam in Telugu, will u pl. send it to my mail ID. VERY NICE AND KNOWLEDGEABLE ARTICLES WITH BEST PHOTOS.MAHA SHIVA RATRI IS A VERY IMPORTANT FESTIVAL IN OUR HINDU RELIGION.. Very informative especially for the children and youth. The articles about Mahashivarathri are good. There is a story about this important day – Once a dispute cropped up between Brahma and Vishnu, and each said he is more powerful. Suddenly a Linga cropped up with too much length and depth. A voice from the Lingam asked to measure and that one who measures is the powerful. Brahma went towards the head while Vishnu became Swetha Varaha and went to the depth. Brahma did not reach the top but said he has seen the tip while Vishnu said I couldnot and thus truthful. Then Shiva appeared before them and said Brahma should not worhshipped while Vishnu to be worshipped because of his truthfulness. 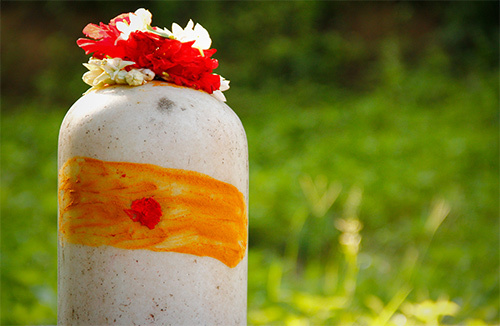 The Lingam shortened itself both length and breadth and there were 12 JyothirLingams = distributed along the land. Thus it is this day that all these things happened and Shiva was born. Shiva blessed all people to be truthful and gave his graces for whatever they want.